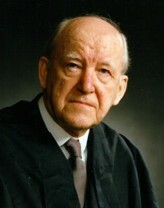 Dr. Martyn Lloyd-Jones was a phenomenon in the evangelicalism of Britain in the 20th century. What accounts for this was not only the powerful effect of his evangelistic preaching at a time of considerable apathy and spiritual decline. It was not only the call of a formidable intellect to his Christian and ministerial contemporaries to think through their evangelical faith to its implication for church and world – and an example of how to do it. It was not only the call to reformation and revival, a return to foundational doctrines and a prayerful hunger for an apostolic experience. What made Dr. Lloyd-Jones the phenomenon he was on the evangelical scene was the extra-ordinary combination of all these things. He was a Bible man, but no mere scribe; he had a strong sense of history but he was also utterly abreast of his time; he was a preacher of eloquence, force and passion but one who scorned to be a performer. To hear his sermons on tape is to lose something of the atmosphere of the hour of their delivery, and yet they create their own atmosphere still. The truths are as forceful as ever, the message as relevant as ever and the pastoral and evangelistic wisdom is strengthening as ever. This preaching carries conviction and strengthens conviction. These tapes will “restore you and make you strong, firm and steadfast” (I Peter 5:10) as the God of all peace prepares you for your generation as He prepared Dr. Lloyd-Jones for his.